The Departement of Bouches du Rhone - Pop. 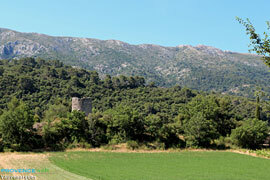 : 790 h.
14 km north-west of Aix en Provence via the D10. Situated on the border between the Departements of the Var and the Bouches du Rhone, Vauvenargues covers a vast territory at the foot of the north massif of Mount Sainte-Victoire. 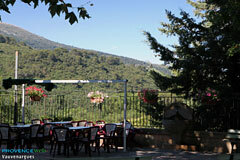 The valley surrounding the village is beautiful, with an undisturbed natural environment. 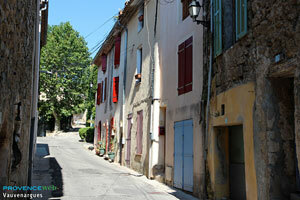 Delightful walks are possible following the sign-posted tracks which cross Vauvenargues. 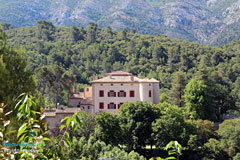 However, because of the fire-risk, the slopes of Sainte-Victoire are protected during July and August. 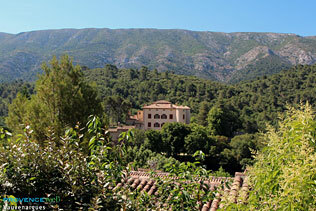 Outside the village, nestled amongst the greenery, the château de Vauvenargues appears to watch-over the entrance to the valley. Flanked by two 14th century round towers with a 16th century surrounding wall, its turbulent history goes back to the Comtes de Provence. and in 1958 the chateau was bought by the famous painter Pablo Picasso who desired that it become his eternal resting place. 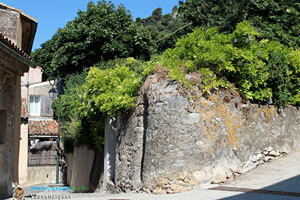 sector dating back to the 5th century. Gouffre du Garagaï. La Glaciere. Arts and crafts and cultural events. Village festival, first weekend in July. Saint Marc Jaumegarde (7km), Jouques (13km), Rians (17km).